To mitigate the effects of climate change, it is necessary to deal with the carbon emissions generated by our activities, especially from the exploitation and burning of fossil fuels. The question, or challenge, is whether we can eliminate such carbon emissions entirely or whether we can only reduce our carbon emissions relative to what we previously generated. To the extent we cannot eliminate all our carbon emissions, the goal is to reduce emissions as much a possible and then to offset what emissions remain by investing elsewhere in low-carbon or carbon-free activities, like wind farms or solar panels or hydro power projects. The concept of offsets is based on the understanding that climate change is a global problem and an increase in one part of the world affects the entire globe but that also a reduction in another part of the world reduces the overall level of emissions. 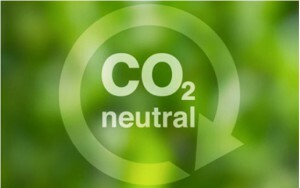 Sometimes “carbon neutral” is also called “zero carbon” but that can be misleading. It may be more useful to use “carbon neutral” for those situations where some carbon continues to be generated but is offset, whereas “zero carbon” involves an absolute not relative reduction in carbon emissions. Zero carbon is an ultimate goal, while carbon neutral may be seen as a step on the way, much like the concept of zero waste. Is it possible to ever reach “zero carbon”? What if you use only renewable energy, e.g., windmills, that do not generate carbon in their operation? Is that “zero carbon”? Or should you calculate the amount of carbon emissions generated in the manufacturing and transporting of the windmills? To go carbon neutral, you first have to determine the level of carbon you emit. Find a website or other source that allows you to calculate the amount of carbon you generate and determine how much carbon you emit each day, also known as your carbon footprint.